It very seldom happens that one person, in an age such as our own, is able to change the economy and the culture, the face and the destiny of an entire nation, in the short space of a lifetime. And yet, this is exactly what Gastón Acurio has achieved, and is still in the process of achieving, for his native country of Peru. If Peruvian cuisine is now so highly regarded worldwide, it is thanks to this chef who refused, in the Eighties, to become a lawyer. Born in Lima in 1967, the son of a prominent politician, Acurio studied Law at the Pontificia Universidad Católica, and subsequently relocated to Madrid, in Spain, to further his training. Here, however, he abandoned his legal studies and, unbeknownst to his family, enrolled in the Escuela de Hostelería. He graduated in 1989 and moved to Paris to attend the prestigious school, Le Cordon Bleu. This was a turning point in the life of Gaston, and, in a sense, for the entire country of Peru. After moving back to Lima with his German-born wife Astrid Gutsche, the two opened their first restaurant, Astrid & Gastón. In this early stage, the restaurant’s menu was entirely French. This, however, did not work out, and very soon French cuisine was abandoned in favor of a contemporary take on Peru’s rich culinary tradition, widely regarded as South America’s finest. This was 1994. Six years later, Astrid & Gastón was elected Peru’s best restaurant. Six more years pass (we are now in 2006) and we find Gastón Acurio opening the academic year at Lima’s top university. 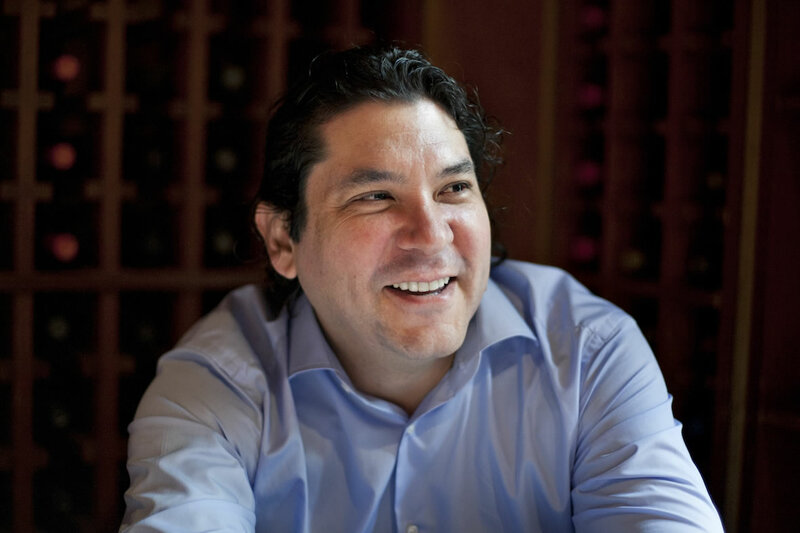 In his lecture, Acurio emphasizes how food has spearheaded the nation’s cultural and economic development, bringing together tourism and the restaurant sector, agriculture and fishery. What happened, exactly, in the space of these few, crucial, years? Gastón Acurio and his pioneering efforts have proved successful beyond the scope of what he intended to achieve. The Peruvian food industry grew exponentially between 2005 and 2013, at a rate of 8 percentile points per year. The Financial Times, quoting data collected by the Sociedad Peruana de Gastronomía (Apega), states that the number of restaurants has increased from 45.000 to 100.000: a 300percent growth. Food “is an agent of social change, a tool for wealth creation, peace and fraternity,” Acurio told the British paper. “As cooks, we have a role to accomplish, so we built the best cooking school in a place where there is a high density of young people, probably without opportunities.” What Gastón Acurio is referring to as the “best cooking school” is the Fundación Pachacútec, the culinary institute he co-founded in 2007, in a difficult slum on the outskirts of Lima. Such an evocative name, in Peru, comes with expectations: Pachacútec (or Pachacuti) was the emperor who, in the second half of 1400, became leader of the Inca Empire: the country’s national hero. Such revolutionary promises are being fulfilled today by Acurio himself. The seeds of change planted here almost ten years ago are now blooming, in ways that are truly innovative. Pachacútec is a shantytown, a difficult place to live in: located on a sandy and deserted hill, until a few years ago devoid of electricity, running water and paved roads. The establishment of la Fundación, has not yet, in such a short space of time, managed to radically lift the area from its poverty. And yet the school receives over 600 applications each year, many of which are coming from disadvantaged communities. 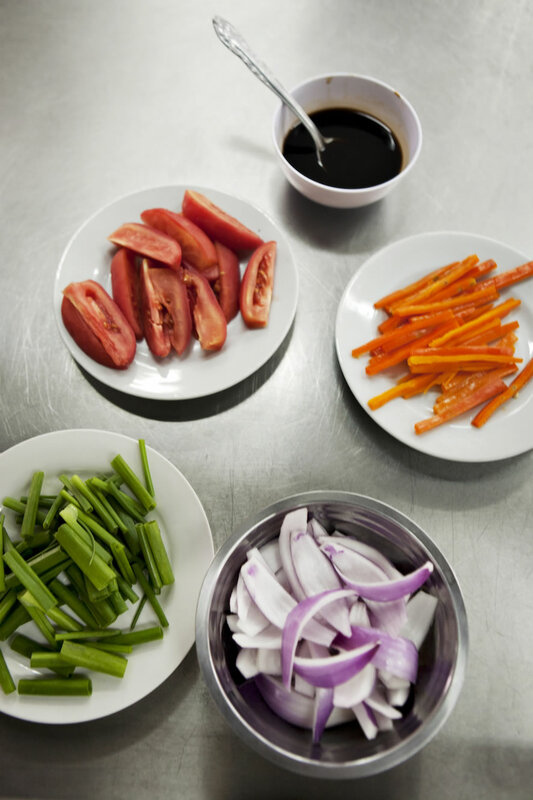 Out of these 600, only 150 can be accepted as part of the first four-month long foundation course, exclusively focused on a challenging, and not only culinary, academic syllabus. 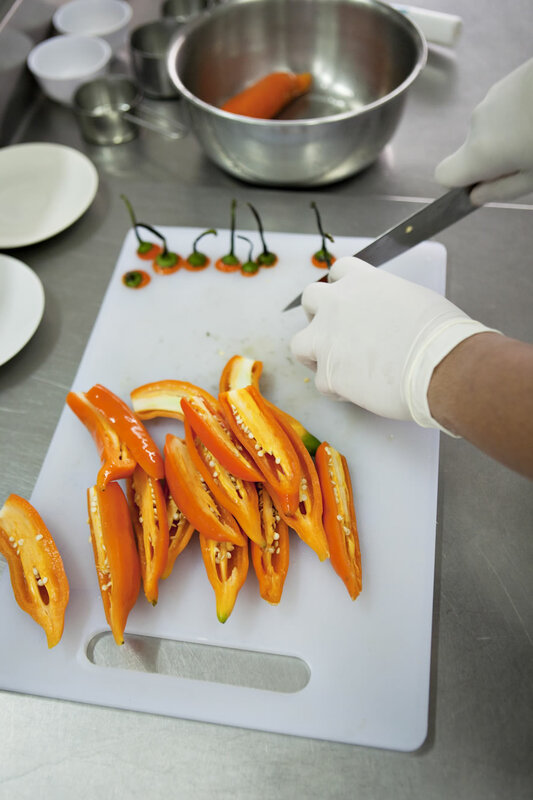 The second selection is even stricter: only 30 students will be admitted to the subsequent hands-on cooking classes, and only half of them successfully graduate. 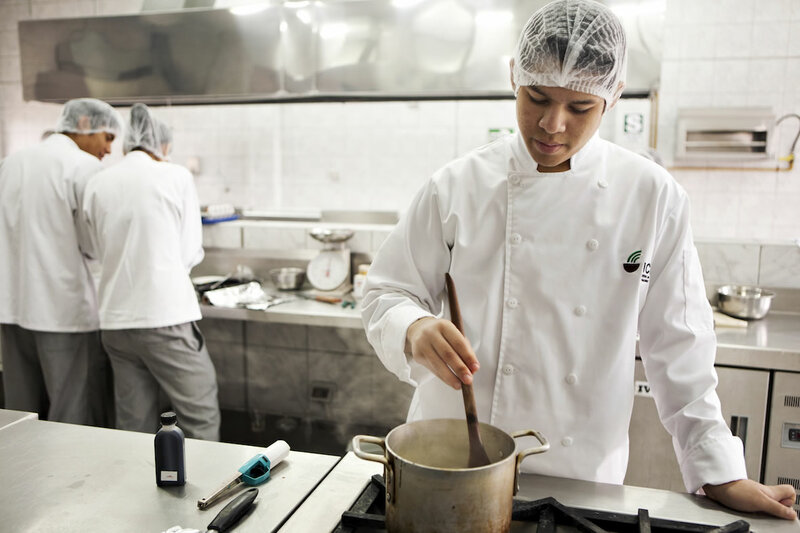 Those who make it, however, stand a real chance to become the country’s best future chefs. La Fundación regularly hosts many guest chefs as visiting professors, some of the most exciting names of the international culinary world: Ferran Adriá, form the multi-awarded El Bulli, or Andoni Luiz Aduriz, head-chef of Mugaritz in San Sebastián, and Italian Giancarlo Morelli, to name just a few.